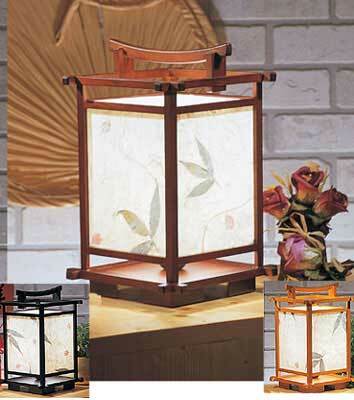 "BOTANIC NARA" table lamp is made of PVC-laminated mulberry paper with embedded leaves and petals. Solid wood framing. This lamp is UL listed and use a 60-watt bulb.